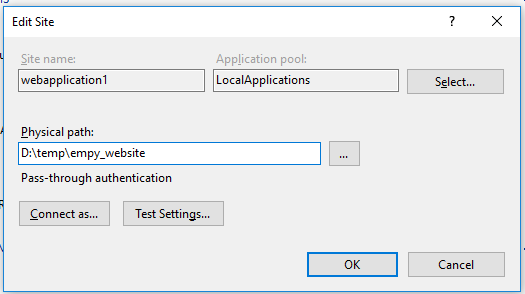 It is possible to host the dotnet core app as a windows service but this wont work with AspNetCoreModule - the latter will simply ignore the running process and start its own new instance. The dependency Microsoft.AspNetCore.Hosting.WindowsServices 1.0.0 does not support framework .NETCoreApp,Version=v1.0. sc create WebApplication1 binpath="full path to your exe"
Start your website and navigate to http://localhost/api/values - hopefully it all works!